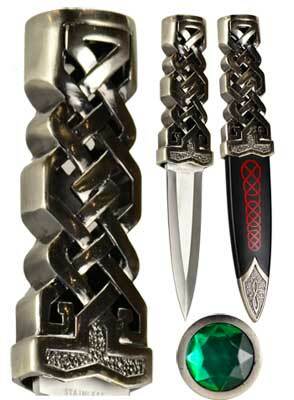 A beautiful and powerful athame with a lacework Celtic Knot handle, double edged blade and a faceted jewel in the pommel. Made from stainless steel. Cannot ship to MA or CA. 9" - 4" blade.